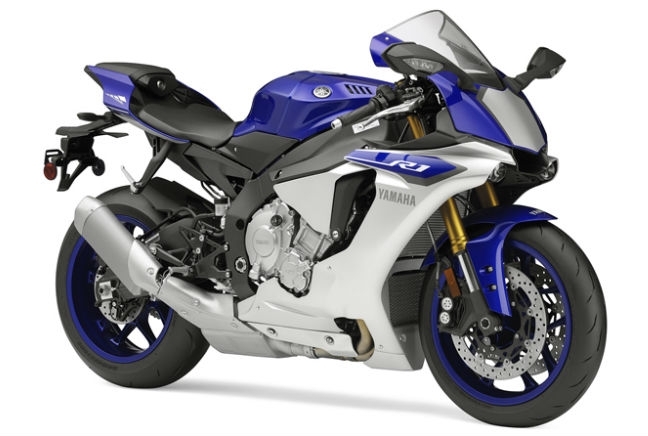 Yamaha has revamped its flagship superbike for 2015 and the results are pretty impressive. The R1 has had its power upped to 200hp, an increase of 18hp, and its weight lowered by 7kg when compared to the current version of the YZF. All in all, that makes a power to weight ratio of just over 1hp-per-kg which is almost unrivalled on the market – which is why the Japanese manufacturer has relied heavily on the M1 unit from MotoGP. And the highlights don’t stop at the engine on the R1, it’s also dripping with high-end electronics and equipment options. As standard it comes with traction control, ABS, a quick-shifter, launch control and lift control, all of which work in operation with a six-axis Inertial Measurement Unit (IMU) – the first time a system like this has ever been used on a road bike.